There was a good news for the crypto investors at the beginning of the week with all the top 20 cryptocurrencies trading in green, with a mix of small to solid gains, with Bitcoin (BTC) hovering over $3,200. At the time of writing the article, Bitcoin was trading in green by around two percent over the last 24 hours. When seen on the weekly price chart, the current prices were slightly higher than the lowest point, registered on Dec. 15. Ripple (XRP), which is the second largest cryptocurrency in terms of market capitalization also gained over two percent in the last 24 hours. It began the day trading at $0.283 and moved further up and was trading around $0.29 at the time of the article. On the weekly chart, Ripple is trading higher than its lowest price seen in the past seven days which was $0.282. Ethereum (ETH), the third largest cryptocurrency by market capital, gained close to four percent in value in the last 24 hours. 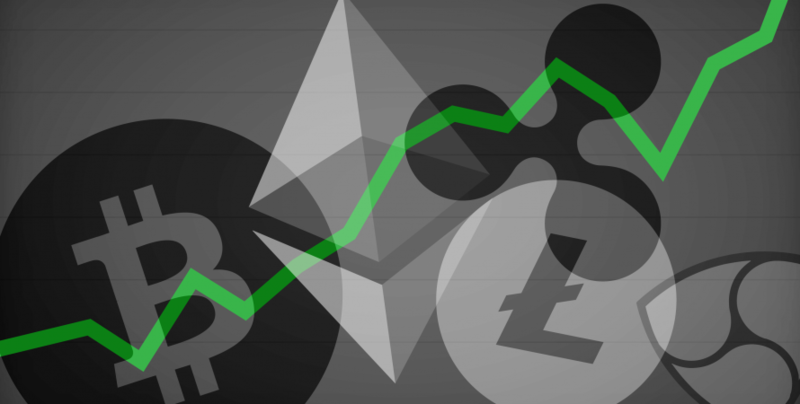 At the time of the article, ETH was trading just below $87, after opening the day at around $83 and gaining progressively over the day. Though on the weekly chart, the current traded price is above the lowest recorded price of $83, but still considerably below the $95, the price at which ETH started the week. Among the top 20 cryptocurrencies, some have gained considerably in its price over the last 24 hours with Bitcoin SV (BSV) gaining above 15 percent, Litecoin (LTC) gaining around 11 percent, Dash (DASH) gaining nearly 5 percent and EOS (EOS) seeing a buying interest and gaining around 6 percent gains over the day at the time of writing the article.